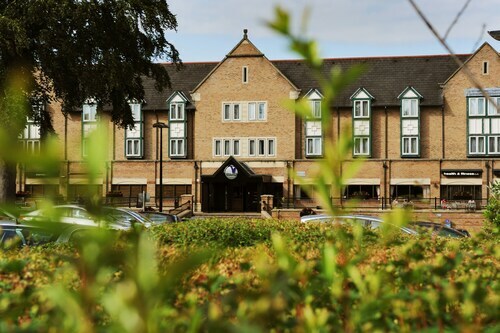 Situated near the airport, this spa hotel is 0.3 mi (0.5 km) from Golden Acre Park and within 6 mi (10 km) of University of Leeds and First Direct Arena. Harewood House and Leeds General Infirmary are also within 6 mi (10 km). 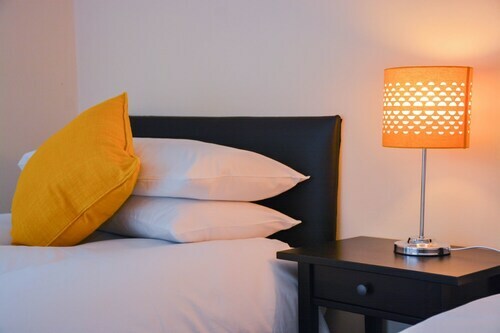 Situated in Harrogate, this bed & breakfast is 2.5 mi (4.1 km) from Pannal Golf Club and within 6 mi (10 km) of Harrogate Convention Centre and Valley Gardens. RHS Garden Harlow Carr and Royal Pump Room Museum are also within 6 mi (10 km). Situated in Otley, this cottage is 1.4 mi (2.2 km) from Otley Chevin Forest Park and within 6 mi (10 km) of Harewood House and Golden Acre Park. Chevin Forest Park and Pannal Golf Club are also within 6 mi (10 km). 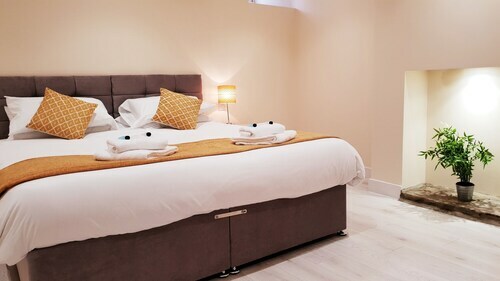 Situated in Harrogate, this vacation home is close to RHS Garden Harlow Carr, Harrogate Convention Centre, and Pannal Golf Club. Local attractions also include Valley Gardens and Royal Pump Room Museum. 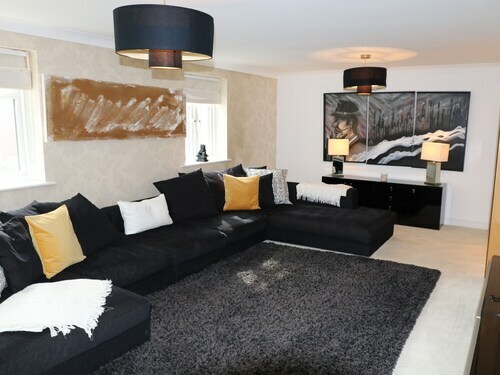 Situated in Leeds, this apartment building is within 3 mi (5 km) of Northern School of Contemporary Dance, University of Leeds, and First Direct Arena. Roundhay Park and Leeds Grand Theatre are also within 3 mi (5 km). 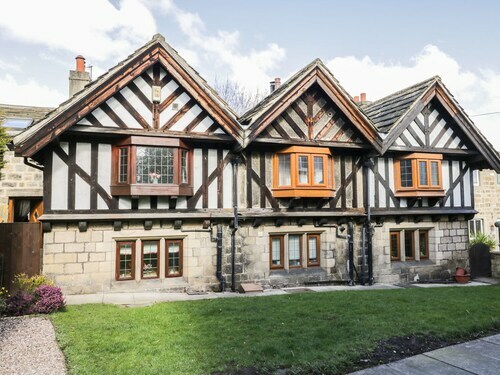 Situated in Leeds, this apartment building is within 3 mi (5 km) of Woodhouse Moor, University of Leeds, and First Direct Arena. Roundhay Park and Leeds Grand Theatre are also within 3 mi (5 km). Let yourself be taken back to a different time at Harewood House. It awaits you in Leeds, 35 miles (56 kilometers) outside of the great city of Manchester. 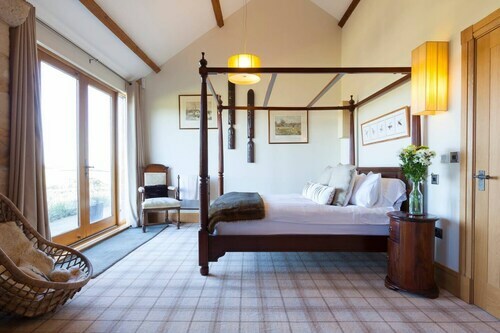 We won't say you'll be overwhelmed with choice when it comes to hunting down hotels in the vicinity of Harewood House, but you do have 14 options within 6 miles (10 kilometers) that you can pick from. 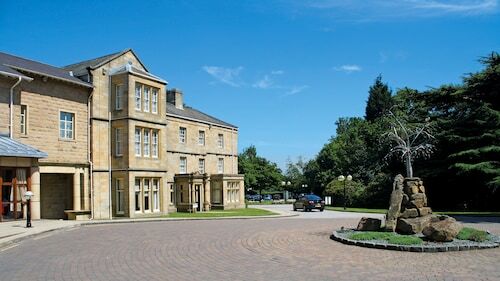 Spend a bit of time comparing the atmosphere at the Wood Hall Hotel and Spa and Weetwood Hall Conference Centre & Hotel. Everyone loves a good deal, and thankfully you don't have to go very far to find one. There is a handful of reasonably priced solutions within easy driving distance. 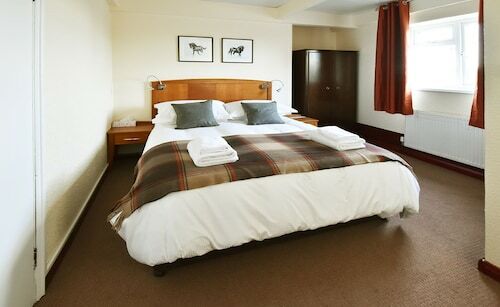 You may like to reserve a room at the High Bank Hotel and the Boundary Hotel. A stay at the Headingley Lodge will be worth every cent. It is the sole first-class hotel in the area, located 6 miles (10 kilometers) away. 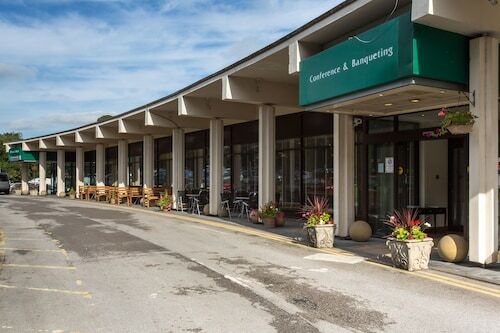 Whether you're an enthusiastic golfer or a total newbie, you can't miss the chance to hit a couple of rounds at Leeds Golf Centre. Brush up on the difference between your birdies, backswings and bogeys, with a round or two at The Village Golf Course. Learn the difference between bogeys, birdies and backswings, with a few rounds at Alwoodley Golf Club. Enjoy a few rounds, get a workout and mentally challenge yourself at the local Sand Moor Golf Club. Spend a few hours practicing your swing at Moor Allerton Golf Club. How Much is a Hotel Room in Harewood House? Hotels in Harewood House start at $41 per night. Prices and availability subject to change. Additional terms may apply.